EFHA: European Federation Historic Aviation. The reason Harry is involved is because he "snapped" in his early twenty's. From that point on, his life has made history. "In those days you were dependent on newspaper clippings and when something about aviation popped up in the paper you had a great day. This wasn't not necessarily a great day for aviation though the fact being that when aviation hit the newsstands it is usually bad new for aviation. Unfortunately Harry became discouraged with aviation because he thought that being a pilot was way out of his league. What happens when you lose inspiration? "I rolled though school not really knowing what I was doing there and after I found myself in technical school studying water management I snapped and let myself off the hook. Really, I just walked out and never went back. I found myself working in a sort of Home Depot for two years learning sales skills that would prove invaluable later on. After two years at the store I took a job as a traveling salesman. I made more money than I knew what to do with so my bank account grew quickly. I thought that was probably handy since at one point in time I would need to buy a house or other dwelling." "One day, while driving around, I noticed a glider airplane in the air. On one hand it appealed to me but on the other hand I wondered what idiot would get an airplane without an engine... I left it at that, flying was not for me and so far I did a pretty good job at steering clear of it. I was 23 and my feet had never left 'terra firma'." He worked hard during the week, and on the weekends partied with his friends. Until one weekend when I'm told he, "snapped," again. "I was tired of visiting the same places and needed a break; I was going to spend my weekends very differently from now on and do stuff that would be wild and crazy... I would start parachute jumping! Well, I thought, This is to insane... you know what, I'll fly gliders!" In May of 1987 he went to a glider club and "informed" them of his intentions. "They were a funny bunch of people and the glider club had a big beer pump... I fit right in. That day I had my first airplane ride. I was winched up to 1000 ft and then the cable was release. We soared like a seagull. (No eagles in the Netherlands) I looked over the side to the ground, to the small people and their small cars... this was where I belonged; was home, I had to learn to fly! My first ride lasted 10 minutes and my next 40 rides did not take much longer. We obviously practiced a lot of take-offs and landings which resulted in me soloing quickly. Then the instructor said I had a "good flying hand." Music to my ears!" Harry's focus had shifted upward to the sky, and his sales rep job traveled south... despite the great money. But that money did find its way into his savings account. He had focus and a dream, all he needed was an opportunity. That's when he noticed an advertisement in his local glider magazine that promised a successful flying career after four years of flying in the U.S.A. The price tag: $45,000. He would receive training through his CFII and then hold an instructing position. Luckily he had the money sitting in a bank account. "Flight training seemed like a good investment. So I moved to the U.S.A. and live in Newport New VA to be trained as a CFII. In 5 months I was just that so I moved to Fayettville NC for my first instructors job. 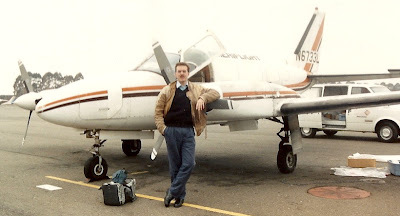 I left this job to get out of the single engine Cessna's and into multi-engine flying. Went to Minneapolis where I found a job with a charter company. 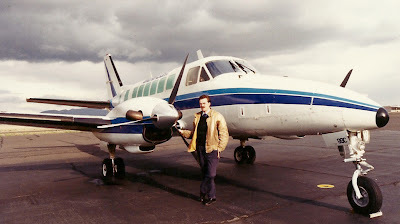 I did a lot of airplane cleaning but also got to fly the KingAir and other twin-engine airplanes. When this company went bust I ended up with the famous California company Ameriflight. I became a company instructor and got to fly a Piper Lance, Navajo, Chieftain and Beech 99." Harry returned to the Netherlands for a "short" vacation: after almost 4 years in the U.S., and had not planned on, or expected to, find an airline job as a B737 First Officer... but he did. He gave his two weeks notice to Ameriflight. He had mixed feelings about leaving, but the draw to fly a 737 in his own country pulled strong. His new company expanded and he made captain in four years. 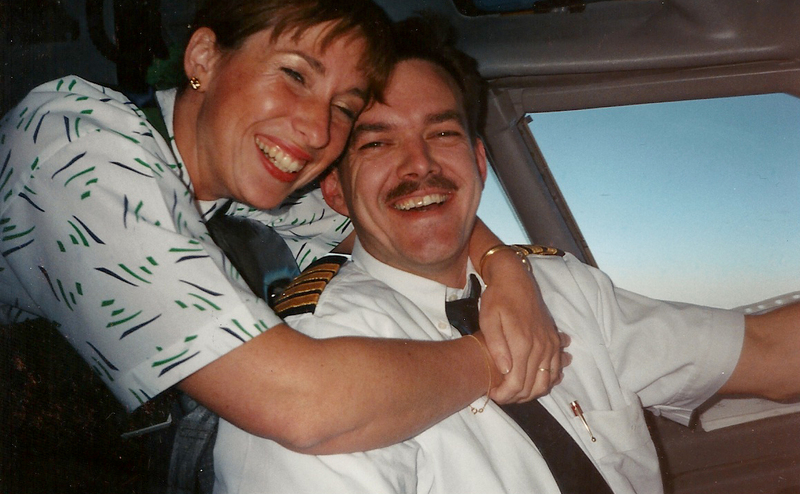 He's been with this company for 20 years now and still enjoys flying the B737, "a lot!" It was just a few years after returning to the Netherlands that Harry became involved with historic aviation. Once again, his life took another shift into the wind. "I started flying Piper Cubs and ended up flying Fleet 7, a nice 1929, US built, bi-plane. 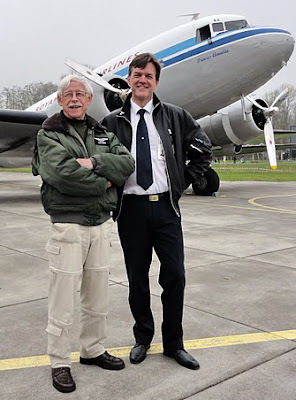 I became a member of the board of the National Federation Historic Aviation in the Netherlands and started to make myself useful in public affairs field. I found out that our politicians and rule makers knew very little about historic aviation and thought it was like modern aviation, not requiring special rules and regulations. I started to enlighten the politicians and rule makers and build a lobby company around my efforts. This company, "Liebre Public Affairs" is now a one trick pony, only catering to the needs of historic aviation. "When the European aviation rule makers came into our lives things got difficult indeed. The objective of our EASA (EU FAA/CAA) is to make Europe's airspace the safest in the world. Historic aviation, with its old recycled crap is in their view not conductive their Utopian European airspace. Historic aviation needed EU representation and I decided to set it up. I, with the help of some fine individuals, set up and chair the European Federation Historic Aviation www.efha.eu. This is a grassroots initiative which is working hard to get the power to make sure historic aviation gets the consideration it needs and fitting rules and regulations to match." And this is where Harry met the "other" woman of his dreams. She was old, beautiful, wise and had seen the world. 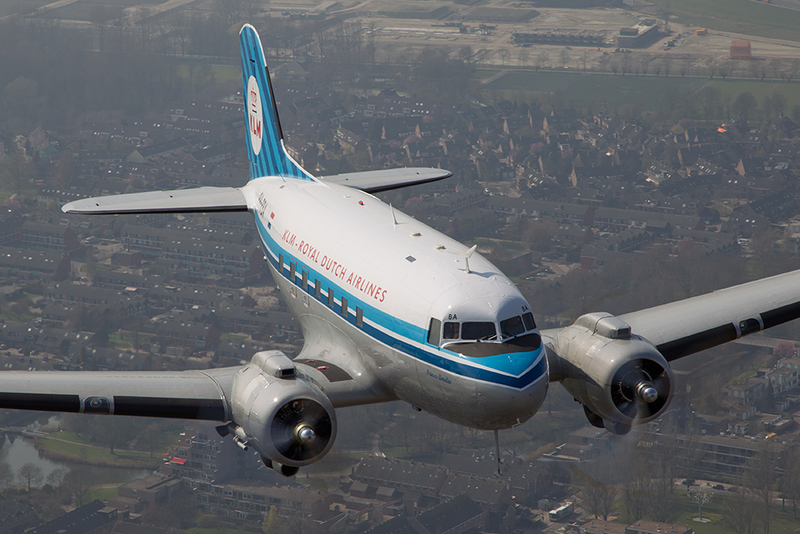 "The Douglas DC3 came into my life and I've been flying this grand old lady of the sky for 5 years now. One of our two CD3 airplanes belonged to our Royal family and we use them for incentive trips or sightseeing flights. I am also a licensed Seconite/Polyfiger airplane covering technician' this is just for fun and because it is useful. I covered the DC2 and DC3 flight controls so far and many small projects." From a 23-year-old, partying on the weekends, to an airline captain who is paving the way for historic airplanes... Harry proves anything is possible with hard work and just realizing when good enough, isn't good enough anymore. Maybe it's your time to snap. Thank you for sharing your aviation life with us! For those of you on Twitter, you can follow Harry @efha_president He will be "ranting about aviation and the grand old ladies of the sky." We love the ranting Harry! Fly safe and Thank You for keep history alive! What a great story. I love how Harry listened to his instincts and let life take him where he needed to go, and trusted himself enough to pursue exciting possibilities. And he found his bliss! This is inspiring. Thanks Karlene, and thanks Harry for your story. Thanks for the comment Linda. I loved his story because his dream was always lurking within and when he finally listened to that voice... and went for it... he took his life in a completely different and wonderful direction. Where would he be now had he not taken that plunge? Who doesn't love the DC-3? :) I love stories about people who suddenly realize airplanes are amazing (kind of like what I did but it only took me a year or two to figure it out). Christine, I do too! I am so glad you caught the aviation bug. I'm also so jealous you're in the sky today. I'll be there soon! Fly safe. Happy Landings. Hi Karlene - just signed up so hopefully I can get my comment to appear now lol! I love Harry's story all the more because I've been thinking about getting airborne for years and I think I'm now ready to "snap" too! Hi Seffan, And welcome! I'm so glad we got your comments up. No snapping! I think you need to get in touch with Harry. He will point you in the right direction. Trust me... we've all been ready to snap at some point, and flying somehow breaks that feeling. Remember, there is no time like the present. Yes, perhaps I should try contacting Harry. 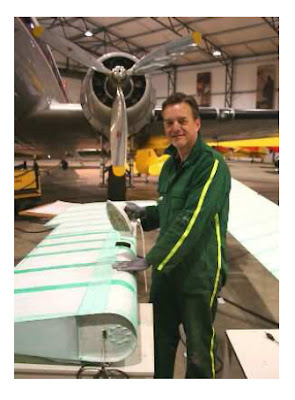 It would be interesting to know if he found the gliding he did useful when he went on to train as a commercial pilot. I've been wanting to try gliding for a while, and it could be something to consider before embarking on my private pilots license. I'm really busy at the moment with work and revising for an exam, but I will book that first lesson within the next couple of months! Steffan, I am so sorry to not have responded. John, just commented and brought this post to my attention. Can you email me about this glider training if you went ahead and did it? I'm going to ask Harry the exact same thing!!! Thank you so much for your comment. I note that Harry "ragged" the control surfaces on the DC-2 that is currently in the Netherlands. He may remember me from Ameriflight days. Going further back, I used to fly that DC-2 when I was at Mercer Airlines in the late 1960s. I believe we sold it in 1969 to Colgate W. Darden II, and it then made its way to KLM. John, Thank you so much for your comment. I will email Harry and ask him to return to this post and say hi! Aviation is a wonderful small world!! I sure remember John Hazlet as a great instructor at Amariflight. I still see him whirling around while explaining the counterweightsystem of the PT6 propellor. Good to hear from you John. The DC2 you speak of is indeed the one I have worked on...amazing we have more connections than meets the eye. Harry, So glad you and john could connect. However, not sure if he will see this, unless he comes back. If you click on reply under John's name, it might message him! Glad you are doing great!! !